The Microsoft Certified Solutions Expert (MCSE): Data Platform certification shows that you have the broad set of skills needed to build and administer enterprise-scale data solutions both on-premise or in cloud environments. The MCSE: Data Platform certification exams test your ability to implement database objects and programming objects, optimize and troubleshoot queries, design a troubleshooting and optimization solution, and design databases and database objects, structure, and security. 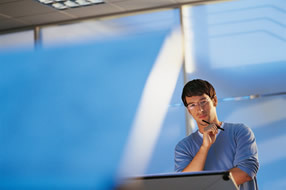 Earning an MCSE: Data Platform certification will qualify you for such jobs as database analyst and database designer. After finishing Exam 461, 462 and 463 you'll earn a Microsoft Certified Solutions Associate (MCSA): SQL Server 2012 certification. Once you have your MCSA: SQL Server 2012 the next two exams will upgrade that to a MCSE: Data Platform. After finishing all five of these exams you will be awarded a MCSE: Data Platform qualification. See below for more information on the exams. This exam measures your ability to accomplish the technical tasks listed below. The percentages indicate the relative weight of each major topic area in the exam. The higher the percentage, the more questions you are likely to see on that content area in the exam.